Two minutes into the flight - at just 450ft (137m) above the ground - the aircraft's nose began to pitch down, according to the Wall Street Journal. Ethiopia will release a preliminary report on Monday into the cause of an Ethiopian Airlines crash that killed 157 people last month and led to the worldwide grounding of U.S. planemaker Boeing's top-selling 737 MAX jet. The Ethiopian Airlines jet took off from Addis Ababa on March 10 and ran into trouble nearly immediately, the Journal reported. The Wall Street Journal says the information it has "paints a picture of a catastrophic failure that quickly overwhelmed the flight crew". 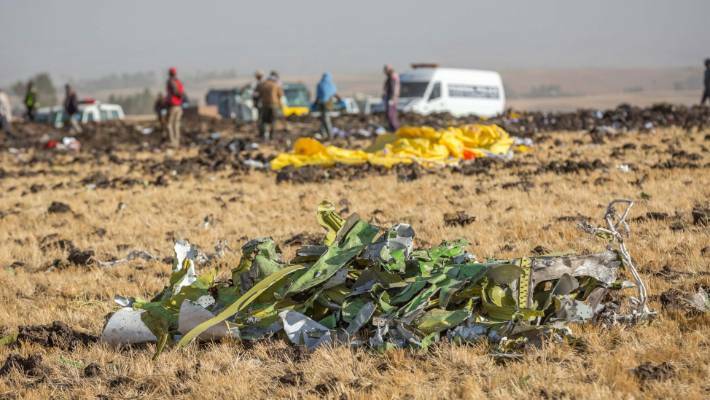 The New York Times also reported the Ethiopian jet's data recorder yielded evidence that a sensor incorrectly triggered the anti-stall system, called the Manoeuvering Characteristics Augmentation System, or MCAS. Federal prosecutors have asked Boeing to clarify their disclosures on the 737 Max's stall-prevention system.